The 5 Plate Genesis is an affordable alternative to many of the higher priced units on the market today from a manufacturer that you can trust to produce a really solid water ionizer. The 5 Plate genesis uses the same dual filtration system as the Genesis Platinum, Genesis Platinum 9 and the Revelation 2 Undersink Water Ionizer. It achieves a pH range of 10 to 4 on most water, giving you the perfect drinking water plus cooking water and acid water for beauty and watering your plants. 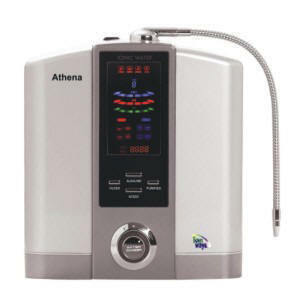 This is a perfect water ionizer for those who can't afford the larger Genesis Platinum models because it creates the same quality drinking water but it just doesn't have the same pH range or flow rate. 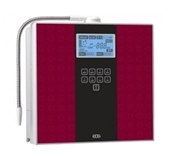 The 5 Plate Genesis is leaps and bounds better than any other comparably priced water ionizer. 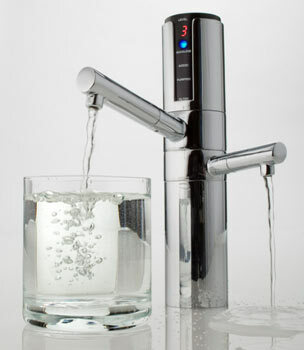 It is hard to find another drinking water ionizer or alkalizer that communicates with you like the Genesis Platinum 9! It tells you the filter life remaining for the number one and number two filters. It tells you the water flow in liters per minute. 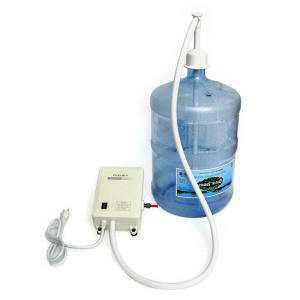 It displays the pH of the water as well as the ORP (by pressing the "set" button). If there is a problem with the Genesis, it displays an error code to tell you what's the problem. In the Genesis setup, it displays the 76 different ionization levels, the volume, the dozens of ORP levels, and so much more! 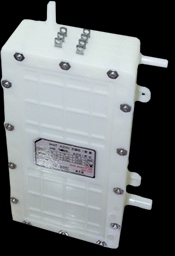 Genesis has 5 patented slotted plates inside a huge electrolysis chamber, designed for power, percision and performance. EOS is the only water ionizer manufacturer with an exclusive relationship with the Hee Sung Metal Company, the top rated metal company in Japan. That's why we offer a LIFETIME WARRANTY on the EOS electrolysis chamber! 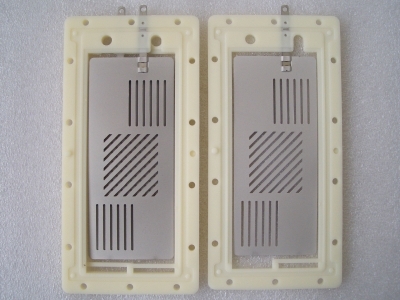 Solid, flat plates, like those used in the Enagic Kangen SD501 Water Ionizer, have a major problem in that the electrical current flows around the edges of the plate, leaving the center of the plate mostly unused. Most water ionizer manufacturers have addressed this problem by putting mesh over their plates, so the whole plate is utilized during ionization. But mesh has a major problem in that it puts ridges on the plates that capture minerals, and as the minerals build up, ionziation gets weaker, forcing customers to clean their plates often. Only EOS has solved this problem by offering patented slotted plates that utilize the entire plate without having to use mesh! 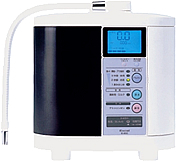 Alkaline ionized water actually enables the body to heal itself and to keep itself healthy and free of sickness and disease, what it was designed to do. 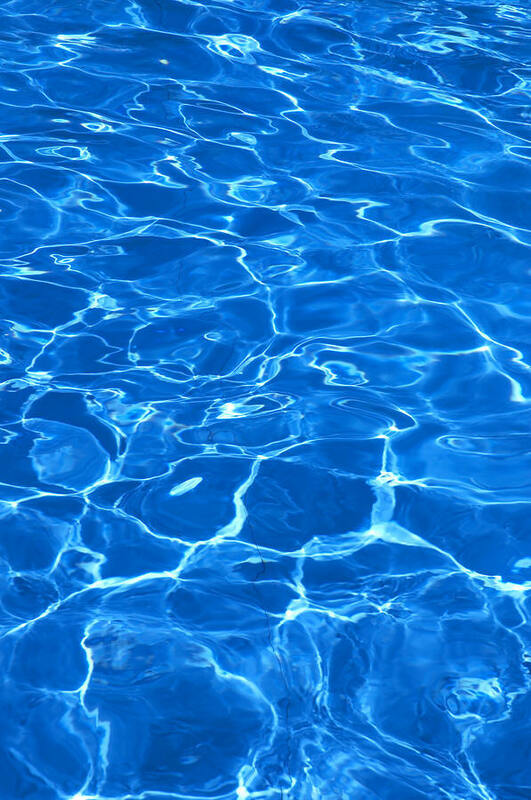 Alkaline ionized water is very similar in nature to the famous miracle water of Lourdes France, considered by many to be the fountain of youth. For more information click on Benefits of Drinking Alkaline Water. Cover a surface area of 225 sq. inches. Made from the most precious materials on earth. 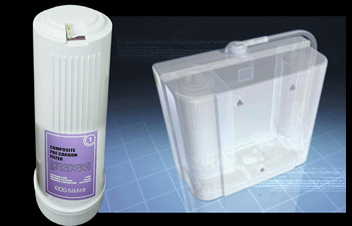 The Cleaning Cartridge will clean the plates of the Genesis Platinum and is inserted in the filter #2 compartment. Over time the inside of your machine can become clogged with calcium build up and render your machine useless. It is your responsibility to keep your machine clean. Use this citric acid cleaning cartridge at least once a year.